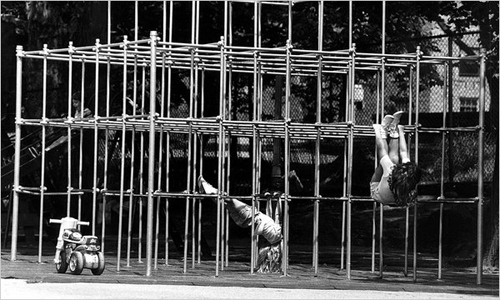 Are playgrounds today too safe? An article written in the New York Times (July, 2011) discusses the disappearance of playgrounds like the one below from Riverside Park, Manhattan and questions whether we are going "too far" in our "safety-first" approach to child-environments with our excessive anxieties and concerns about child safety leading to the plastic, low, colourful and confined playgrounds we see today. Critics are now raising concerns - saying that these "safe" playgrounds may stunt emotional development, leaving children with anxieties and fears that are ultimately worse than a broken bone (Tierney, 2011). "Children need to encounter risks and overcome fears on the playground," said Ellen Sandseter, a professor of psychology at Queen Maud University in Norway - who identified six categories of risky play as: exploring heights, experiencing high speed, handling dangerous tools, being near dangerous elements (like water or fire), rough and tumble play (like wrestling), and wandering alone away from adult supervision. "Children approach thrills and risks in a progressive manner...very few children would try to climb to the highest point the very first time they climb. The best thing is to let children encounter these challenges from an early age, and they will then progressively learn to master them through their play over the years." Whilst parents worry that a rare fall and injury would develop fear of heights in a child, studies in fact show the opposite, showing that a child who is hurt in a fall before the age of 9 is less likely as a teenager to have fear of heights. According to Sandseter - gradually exposing children to more and more dangers on the playground is using the same techniques developed by therapists to help adults conquer phobias, and that "paradoxically," the psychologists write, "we posit that our fear of children being harmed by mostly harmless injuries may result in more fearful children..."
Today's shorter equipment with enclosed platforms and rubber grounds may prevent injury, but some experts question their overall value. Via the New York Times Website. An adventure playground in Berlin: "Kolle 37" however is a place which instead of sending messages of parental fears and control, is a place where kids can really be kids, where they can explore, build, invent, create and play amongst nature. 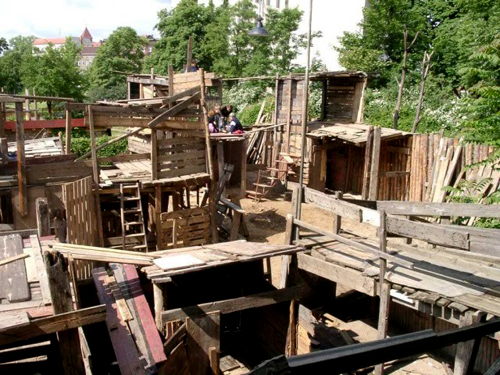 With visits from 30 to 100 children aged 6 - 16 years every day, the adventure playground is located in the Prenzlauer Berg district of Berlin and part of a larger park complex. Kolle 37 hosts a variety of events and workshops - with a pedagogical focus on the four elements of earth, air, water and fire. Here children have the opportunity to build their own huts, make fire, work in the garden, watch and work with animals or just play - enabling them to develop their creativity and skills with working with different materials and tools. 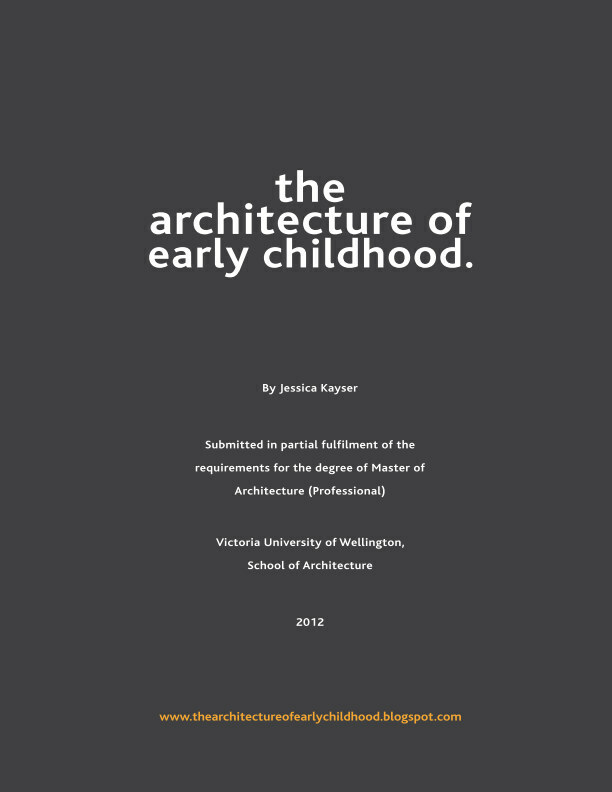 Described by architect Alex Gilliam (and expert on K-12 education) of Public Workshop as a wonderland of imagination and exploration and a social hub for the neighbourhood. The children explore and test their built creations for their sturdiness, stability and load - it is this testing that enables them to learn, whilst the staff have developed a number of smart evaluative systems for ensuring the children's structures are safe. Furthermore, Alex Gilliam says that in fact, the injuries are probably lower at the 'building playground' than typical American playgrounds, stating that there have only been two broken bones and a couple of stepped on nails, hinting that children are more careful when the perceived risk is high. Promoting 'risk', Alex says: "It is remarkable and for many people, entirely counter-intuitive to think that actually giving children the opportunity to experience more risk, to have more ownership over the world around them, to learn the things that interest them and to actually fall down once in a while is actually a really good thing. However, injury data and my own extensive first hand experiences with empowering children to redesign, and rebuild the world around them absolutely reinforce the efficacy of these ideas." Via Public Workshop, Playscapes and Kolle 37. Also, see Kaboom - a non-profit US organisation dedicated to saving children's play and their blog 'Play Today'. They are currently running an competition called 'Scary Playgrounds - Let's Find 'Em & Fix 'Em', which calls people to find America's scariest playgrounds so that they can fix 'em - the winner receiving a $2000 VISA gift card.